With an outstanding first season, “American Vandal” transcended its incredibly silly premise. A pitch-perfect parody of true-crime shows, “American Vandal” followed Dylan Maxwell (Jimmy Tatro), a high school senior accused of spray painting images of penises on several teachers’ cars. His story was told from the point of view of Peter Maldonado (Tyler Alvarez), a sophomore and wannabe filmmaker, and his friend Sam Ecklund (Griffin Gluck), who turns the story of Maxwell’s alleged crimes into an instantly popular documentary. The main appeal of the show, at least at first, was the very serious treatment of very silly crimes. Every staple of true-crime documentaries, from the reenactment of certain events, to talking head interviews, is painstakingly recreated as characters discussed every vulgar detail of the vandalism. Yet as the series progressed, it became remarkably better, with a surprisingly compelling mystery and an insightful examination of truth and injustice. “American Vandal,” was not merely a funny mockumentary; it was something deeper. But it was still the kind of show that could’ve been lightning in a bottle, something that works once, but could never be replicated in a second season. Shockingly, Season 2 of “American Vandal,” while not quite as funny as the original, manages to actually be significantly smarter, with deeper themes and a lot more to say about how the world works. The new season opens with an update of what’s happened to Peter and Sam’s lives since we last saw them. In a meta twist, their show was picked up and distributed by Netflix, who funded their second season. The two budding filmmakers have decided to investigate the case of “The Turd Burglar,” a prankster who terrorized the St. Bernardine Catholic high school by spiking the cafeteria lemonade with laxatives, causing nearly the entire student body to defecate their pants; hid poop in a piñata, which simultaneously was unleashed on a group of students; and placing cat poop in the T-shirt guns fired at a school basketball game. “The Turd Burglar” hides behind an Instagram account, threatening more pranks. This time around, the accused is the social outcast and oddball Kevin McClaine (Travis Tope), who confessed to the crimes. But there may be more to the story than appears at first glance; after all, Kevin was one of the students who drank the lemonade. Why would he drink the lemonade if he knew what would happen to him? Many of the strengths of the original season are present again. The central whodunit surrounding the identity of “The Turd Burglar” is as engaging as the first season’s mystery. Its story goes beyond mere mystery, however, dealing with complex themes and creating multi-dimensional characters worth investing in. The cast is uniformly excellent, portraying each of their high schoolers with realism and quirks specific to each character. Admittedly, the new story isn’t as funny as the first. This is primarily because Kevin makes for a far less funny character than Dylan did. Kevin is an outcast, and a pretentious weirdo (an early introduction sees him describing the “proper” way to drink tea), which makes him less funny than annoying or pitiable. Dylan, on the other hand, was the star of the show, a pitch-perfect stoner who made for great comedy (it helps, too, that he was played by Tatro, whose performance was extraordinary). Furthermore, the gimmick just doesn’t feel as fresh this time around. It’s still a very funny show, but it’ll never feel as original and new as it did in its first season. If the new season lacks the humor and characters of the first, it more than makes up for it with its sharp social commentary. “American Vandal” uses its silly premise to deal with very serious real-world issues. The first episode outlines the tactics used by police officers to force false confessions, and plant crimes on innocent people; another episode explores the extreme lengths that the privileged and powerful people go to protect each other from facing consequences for their corruption; the season’s finale makes a jaw-dropping, powerful statement about how social media changes how we see ourselves and others. The arguments made by the show are important in their own right, but what’s truly impressive is how seamlessly they’re integrated into the narrative. A lot of overtly political movies and TV shows fall into the trap of basing the entire story around their message, have characters explain the point of the story to the audience (often vis-á-vis a monologue), or present the opposing argument as a straw man. “American Vandal,” falls into none of these traps. The social commentary is fundamentally part of the narrative, not forced onto it, and as a result there’s no need for anyone to blatantly explain what the show is trying to say. Even the arguments of the eventually revealed “Turd Burglar” are taken seriously. It’s astonishing not only that a show about a poop-based prank has so much to say, but how well it says it. “American Vandal” proved in its first season that it wasn’t a simple, one-gag show stretched out across eight episodes, but that it was something more. 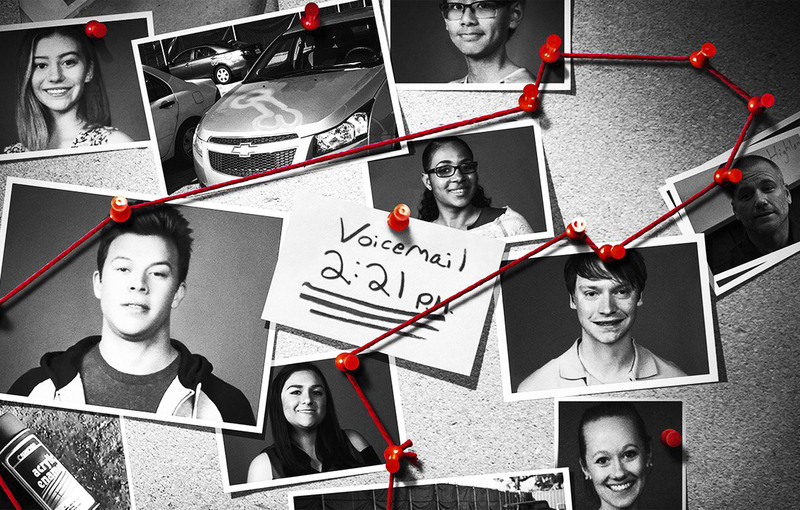 With Season 2, “American Vandal” demonstrated that it had a powerful message about modern society. We can only guess what Season 3 may achieve next.